SET IN the not too distant future, Grey Trace is a technosceptic, stay at home car mechanic, who specialises in old fashioned muscle cars in a world of driverless iPhone like vehicles. His life changes dramatically when he’s involved in a car jacking in which his wife is killed and he becomes a quadriplegic. One of his former clients is a Mark Zuckerberg like tech mogul, who offers to install a computer chip into Grey's body that will make him, not only healthy again, but smarter, stronger, and faster than ever before. Not only does the suit make him a physically better human but it also talks to him. It's a bit like Knight Rider if the car was a David Hasslehoff's body or Siri if Siri was part of your body and actually useful. Actually a better name for this movie would be Siri-al Killer. It leans into the humour and the movie is all the better for it. Without sounding like too much of a psycho its refreshingly violent. One of my main issues with The Meg from a few weeks ago was, it was supposed to be a fun B movie but its PG rating meant at no point did you look away from the screen or cringe at some of the action. No mistake like that here, some of the scenes are genuinely gorey but ludicrous enough to get a few laughs from the audience I saw it with. Directed by Leigh Whannell - best known as writer of the first three Saw films and the Insidious franchise. The Saw movies dropped in quality pretty quickly but you might forget how clever and fun the first one was. Whannell is on to something here too. It’s an old formula, similar to the “10 per cent of the brain" myth, but unlike Limitless and Lucy, which used the same premise in the last few years, this feels slightly in on the joke. It’s a B-movie and proud of it. While the obvious comparison is to Black Mirror this feels like more of a Twilight Zone throw back. It’s good fun but not for everyone. 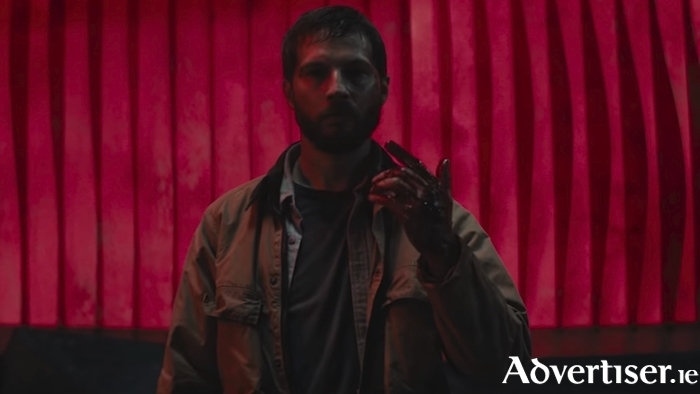 Upgrade comes from the production company Blumhouse whose business model of 'low budget and high concept' has been a massive success. While not as clever as Get Out, and it will not be as successful as movies like Insidious, this is a good fun movie of the kind rarely made anymore. It feels like the kind of movie that’s on TV3 at 11pm on a Wednesday and you tune in for the first 10 minutes and end up watching the whole thing.